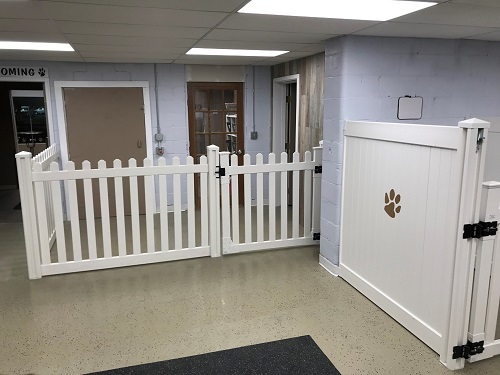 WamBam Fence has become a popular choice for doggie daycare fencing in this rapidly growing industry. 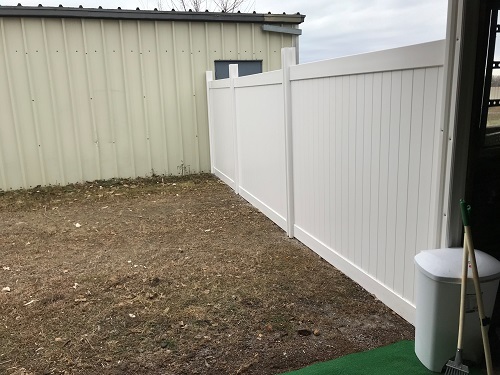 WamBam Fence offers a unique and affordable surface mounted fence solution which makes it appealing to install on a concrete surface, both indoors and out. 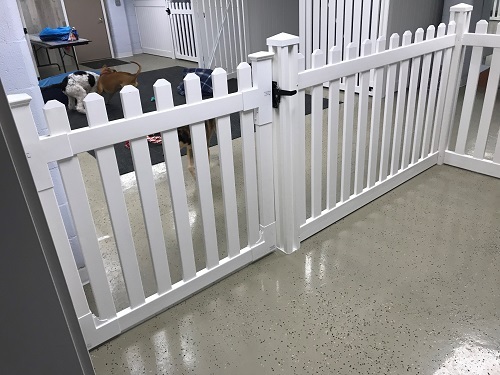 Vinyl is also a great material choice for doggie daycare fencing as it’s non-toxic, easy to clean and doesn’t show scratches as easily as other materials. 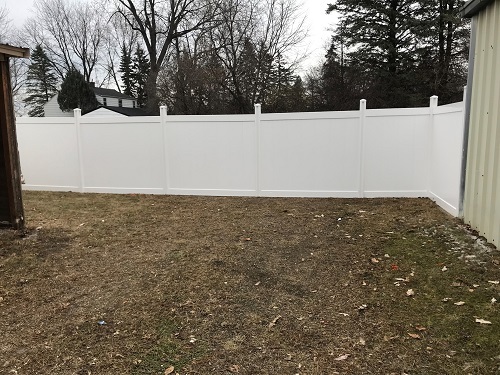 Brian and Dana Duscher searched a long time for a suitable fence for their dog spa business. 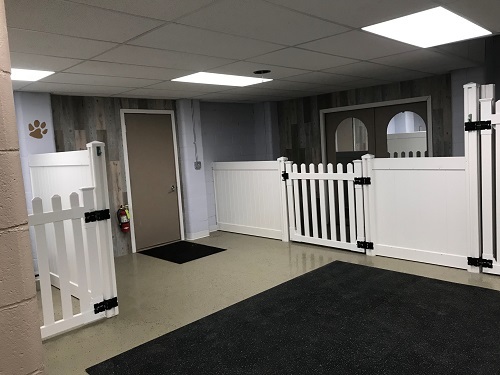 When they came across WamBam Fence, they knew they had found a doggie daycare fencing fit. After several renditions of sketches and many design changes, Dana’s Dog Spa and Boarding is open for business. Round of ‘apaws’ for The Duscher’s creative efforts! 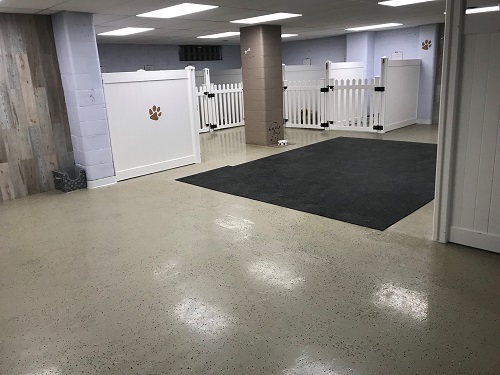 Looks like the Duscher’s did a great installation job. The pictures speak volumes!